Sell iPhone 7 | How Much is My iPhone 7 Worth? Select the information above in order to receive an accurate quote for the iPhone 7 you want to sell. Click sell item if you agree with the price that is displayed. All quotes outlined above are good for 30 days upon checkout. Once you have completed the checkout process simply print the shipping label, box your item(s), and ship them free of charge to us. The faster you ship the item(s) to us the quicker you get paid! GreenBuyback purchases iphones at the highest prices in the industry! GreenBuyback pays cash for your old cell phones. When you sell your cell phone, tablet, or laptop to GreenBuyback you will never have to pay shipping. GreenBuyback is dedicated to maximizing the cash back to our customers. Sell your iPhone 7 for cash today! Released in November 2016, the iPhone 7 caused quite a stir with its lack of a headphone jack. However, Apple provides a dongle extension for your headphones. The iPhone 7 is the first in the iPhone family to be water resistant, which is a huge upgrade and beneficial for parents, travelers, and more. GreenBuyback will buy your iPhone 7 in any condition, even broken! Simply head to GreenBuyback to get a quote, send your iPhone 7, and get cash quick! Another perk in the iPhone 7 is that increased storage is standard on all models giving you more room for your money. And, as with most Apple releases, the iPhone 7 benefits from an improved and faster processor and slightly improved battery life. 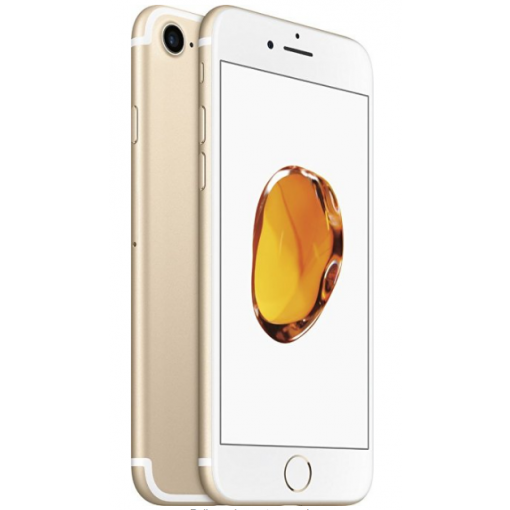 Selling a iPhone 7 is so easy with GreenBuyback; send your iPhone 7 to GreenBuyback with free shipping and you’ll get cash sent to you fast!